If you were to sell your home today, would you be able to so with complete confidence that your home would sell fast and for top dollar? Today I'm going to discuss 3 steps that you can take to ensure that you sell your Roanoke home fast, for top dollar and with as little hassle as possible. Step 1 in the process of selling your Roanoke TX home with complete confidence is to no longer think of your house as your home. When you put your home on the market, it is a product that needs to appeal to a wide range of potential buyers. This means that you will need to depersonalize your home as much as possible. It also means that you will need to stage your home so that it shows as much like a model home as possible. Staging your home is much more than just moving furniture around and de-cluttering. Staging includes giving your house a complete makeover on both the exterior and interior. We offer a Complete guide to preparing your home for sale that's available upon request. Step 2 in the process of selling your home with complete confidence is having realistic expectations regarding the value of your home. Because the Roanoke TX home market has been so robust the last 6 years, many home sellers have gotten greedy. Greedy in the sense that they think they can determine their own sales price without regard to actual market conditions. Even in a sellers-market, it's important to price your home realistically and competitively. Homes can sit on the market for a long time even in a sellers market. I can show example after example of sellers and agents who overprice their properties, and as a result, their home sits on the market and becomes stale. The fact is, that pricing is 90% of the marketing. Pricing your home to sell is key. The third and final step in the process of selling your Roanoke home with complete confidence, is hiring the right agent to sell your home. I'm amazed at the number of people who have gotten their real estate license in the last 6 years. Since the real estate market took off in 2012, it seems like there's now a real estate agent on every corner. Many people got their license because they thought they could make a quick buck. And the truth is, many have made a quick buck. But many, many more haven't had much success at all. Regardless of what one may think, successfully selling a home requires much more than putting a sign in the yard and a lockbox on the door. I recently put a home on the market that had previously been listed with another agent within the last year. I surprised to learn that the previous agent didn't even complete a CMA for the home seller. As a result, the listing had to be cancelled. The sad thing is, this agent puts up a lot of signs. But unfortunately, they also have a lot of listings that end up being cancelled or sitting on the market for long periods of time. When hiring an agent, do your research. Find an agent that is an expert in your market. Find an agent who actually lives in your community. Find an agent that's had their license longer than a few years and actually has a track record of selling homes fast and for top dollar. 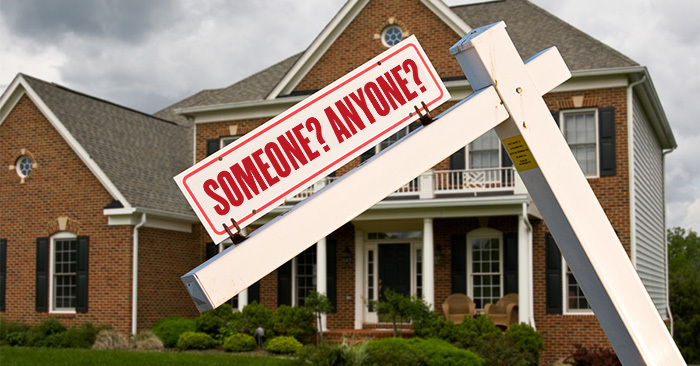 These are 3 important steps in selling your Roanoke TX home with complete confidence. There's much, much more involved in the process, so hiring a top notch agent is a must. They will be able to guide you through the entire process with complete confidence.